Hu Feng, the ';counterrevolutionary' leader of a banned literary school, spent twenty-five years in the Chinese Communist Party's prison system. But back in the Party's early days, he was one of its best known literary theoreticians and criticsat least until factional infighting, and his short fuse, made him persona non grata among the establishment.His wife, Mei Zhi, shared his incarceration for … many years. F is her account of that time, beginning ten years after her and Hu Feng's initial arrest. She herself was eventually released, after which she navigated the party's Byzantine prison bureaucracy searching for his whereabouts. 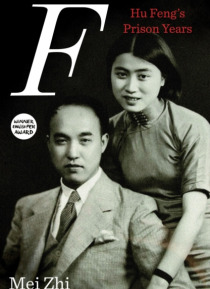 Having finally found him, she voluntarily returned to gaol to care for him in his rage and suffering, watching his descent into madness as the excesses of the Cultural Revolution took their toll.Both an intimate portrait of Mei Zhi's life with Hu Feng and a stark account of the prison system and life under Mao, F is at once beautiful and harrowing.With support from English PENThis book has been selected to receive financial assistance from English PEN's Writers in Translation programme supported by Bloomberg. English PEN exists to promote literature and its understanding, uphold writers' freedoms around the world, campaign against the persecution and imprisonment of writers for stating their views, and promote the friendly co-operation of writers and free exchange of ideas. For more information visit www.englishpen.org.